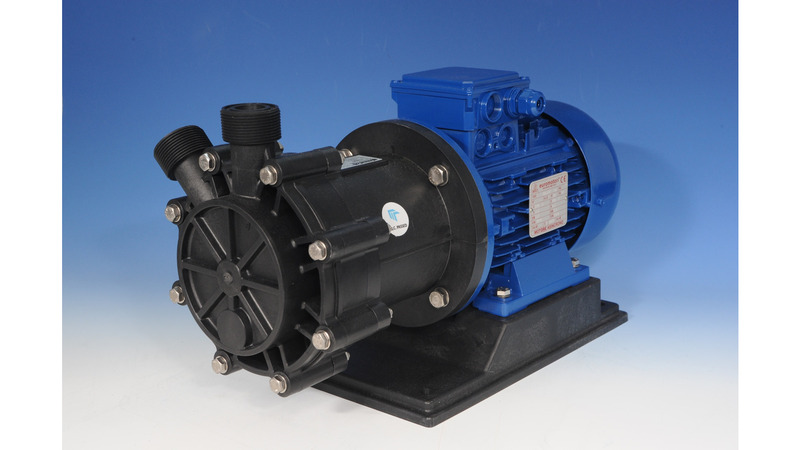 Mag drive turbine pumps series HTT PP/PVDF are made of plastic materials (Polypropylene and PVDF) and are suitable for acids and high corrosive liquids. Thanks to the innovative mag drive system, pumps model HTT PP/PVDF reduce the risks of leakage and emissions in the environment and consequently the maintenance costs. The transmission of the motion occurs through magnetic joints without using mechanical seals. This guarantees the maximum safety and efficiency. The pumped liquid has to be clean and without solids in suspension. Materials available: PP/PVDF. Max. flow 9m3/h and max. head 50 mlc. Liquid temperature: max 90°C.